This is the first time we've offered Thai Fanta, which is produced in Thailand and has a unique flavor you won't find anywhere else. 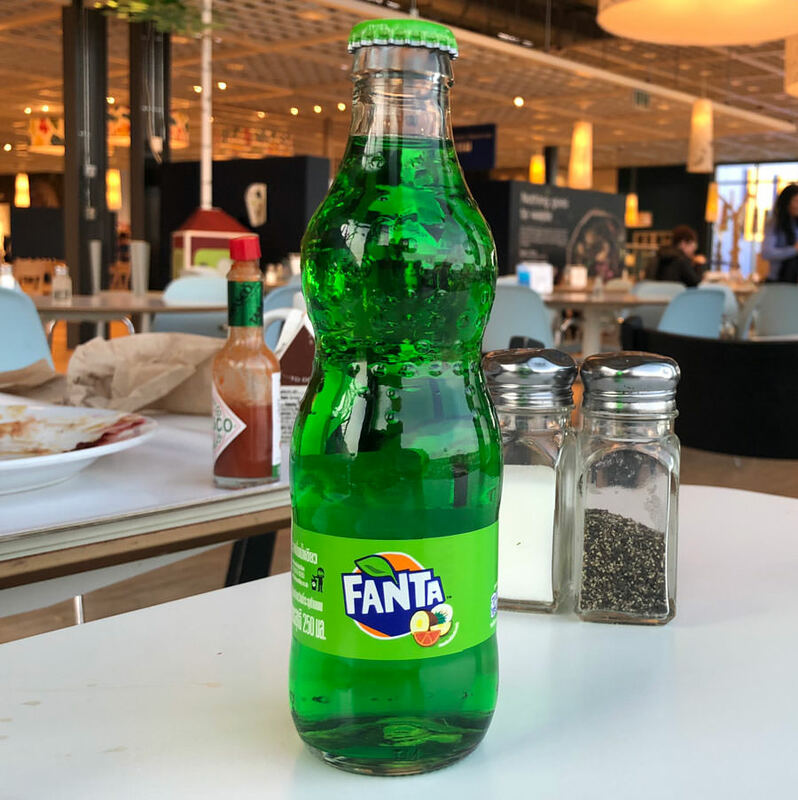 Cream Soda flavor is now available in an attractive glass bottle We also offer Fanta in Orange and Strawberry flavors which come in a can. Ingredients: carbonated water, high fructose corn syrup, citric acid, sodium benzoate, natural and artificial flavors, caffeine, potassium citrate, Yellow No.5, Green No.3, carob bean, guarana extract, sodium. We also offer Fanta in Orange and Strawberry flavors.